So the good stuff in this movie is obviously the horse racing, outfits, and moustaches. Some hot action on the track, and exciting finishes. And there was some pretty good cinematography thrown in on the races. I don’t think they had the “horse’s eye view” in Seabscuit, so that would be a great unique shot here. Either way, those were one of the better shots of the racing scenes. Overall, I seem to think Seabiscuit’s racing scenes outshown these, but i’ll have to watch both near each other to be sure. And while I don’t quite remember, I don’t think they paid homage to the well-known finishing shot, which really shows Sec’s prowess. And of course John Malkovich’s acting and his ridiculous outfits were just amazing. While the racing scenes were great, the rest of the movie was fairly mediocre. And considering the focus of the movie wasn’t the racing, that’s a bad thing. This was supposed to be the story of a woman overcoming adversity, yet I can’t say that I really empathized with this character. I guess since they were trying to show Penny’s strength, Diane Lane was a bit cold through at least the first half of the movie. She started to open up later and you started to root for her, but this took a long time. Unfortunately they tried to squeeze 3-5 years into a short movie, and so you really only get bits and pieces of the hurdles she had to overcome. I really felt with this that we really only hit the tip of the iceberg of this complex story, and was left wanting. The biggest gap here was her family situation. She was basically shown as abandoning her family to run the farm for 3+ years. Now I can understand that she may not have been able to uproot her family, but there was neither much animosity nor much support at this. So you couldn’t really tell if there was really a deep problem for her to overcome here. The family finally came to the Belmont, and while they were the main story at the Preakness, finally rooting for her over TV, you didn’t get too much of a sense they cared one way or another until near the end. And even then, they were mainly cheering for the racing. So this rift with her family should have made you sympathize for her, but most of the movie it was fairly neutral. So in the end, I did enjoy the movie, but i didn’t quite root for anyone as much as I did for the horses. 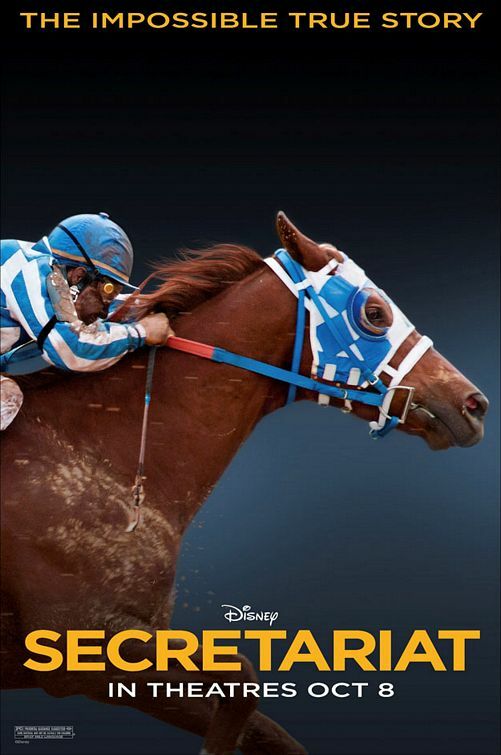 Compare this to Seabiscuit where in a 2 hour movie, EVERY character (and even the horse) draws you in emotionally. The real Secretariat may have been the greatest horse in racing history and won the Belmont by 31 lengths, but the Seabiscuit movie won this Match Race by 31 lengths. Either way, if you love horse racing, go check this one out. 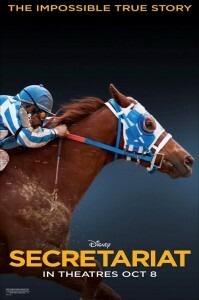 Just don’t expect the same caliber movie as Seabiscuit.